An online petition calling for traffic lights to be installed immediately at the site of Sunday’s fatal incident has attracted over 2,000 signatures in less than 24 hours. Following Sunday’s fatal road traffic incident, an online petition calling for traffic lights to be installed at the junction of Forest Road and Betty Haunt Lane has attracted almost 2,000 signatures. 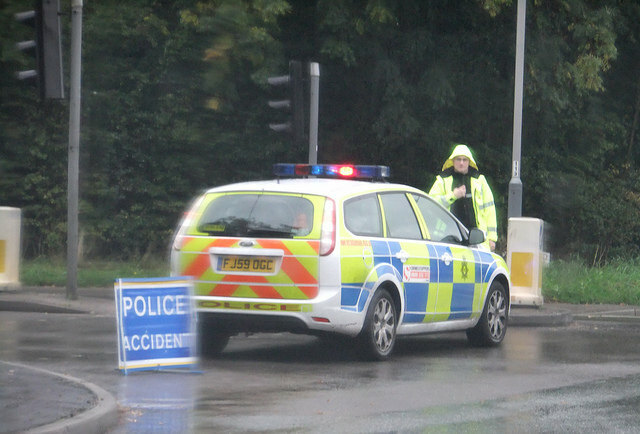 The collision involved two cars and a bus and resulted in the tragic death of a woman in her 60s. The other passengers from her car all have serious injures, as well as the bus driver, who had to be cut out of the bus. Put traffic lights on Forest Road [A3054] where the blind spot is – the site of the horrible traffic accident on 14 April 2019. In order to prevent further accidents, Island Roads needs to instal traffic lights immediately. The IW Council must instruct Island Roads to do so now, and call an emergency Full Council and/or Cabinet meeting to approve this decision, if necessary. If you wish to add your name to the petition, you can do so on the Change.org Website. 9 Comments on "Petition calling for traffic lights at site of fatal incident nearly 2,000 signatures strong (updated)"
Sadly, chartman, some traffic calming needs to be installed to keep others safe. This is such an awful crossroads…you have to have a very swift right foot when pulling out as the visibility is incredibly poor – and my car has nearly been rear-ended whilst waiting to turn right into Whitehouse Road – way more than once…. Not a knee-jerk reaction, but not a normal Council takes 10 years to talk about it and do nothing action. The whole island network needs investigation but something needs to be done quickly now. This is a notoriously bad spot, and many people have been lobbying the Council for years to get something done there…. my granny lived in porchfield so my mum had to use this turning constantly. it is a nightmare to get out of from the porchfield side. used to be even worse when the donkey sanctuary was situated nearby. Were the cars involved local or visitors? The lady that died was a resident….